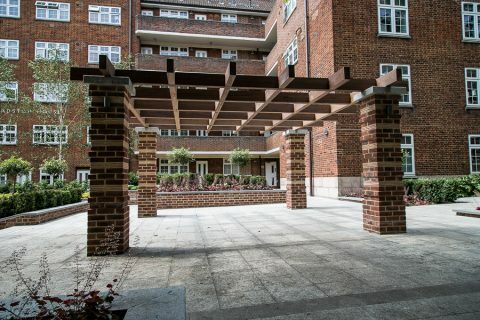 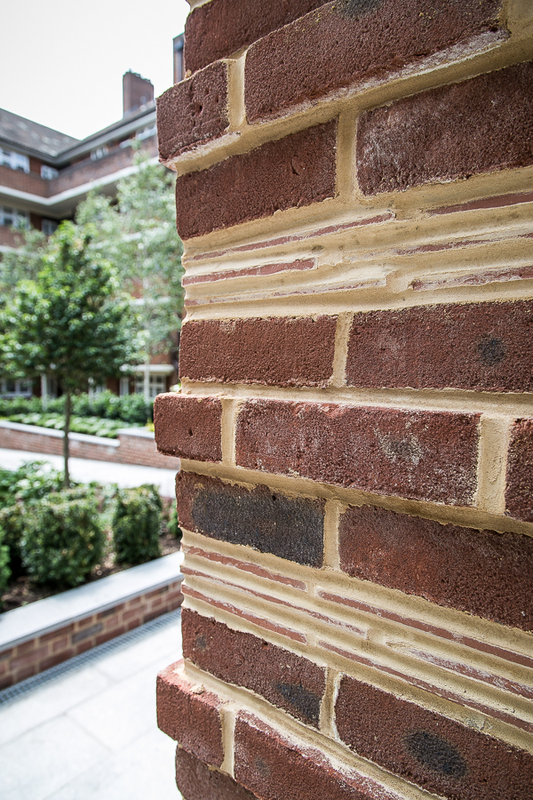 The scheme was highly praised by the client and residents as it solved many of the operational days to day communal living issues whilst creating an attractive living environment. 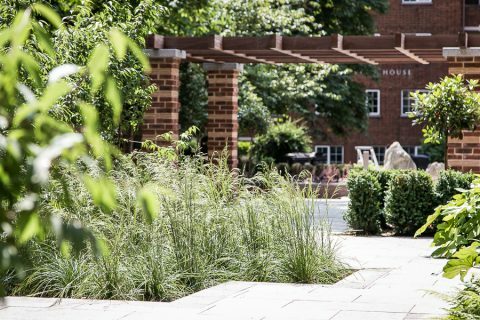 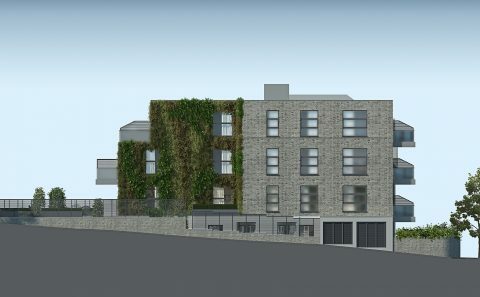 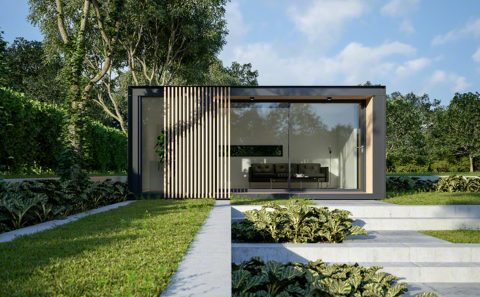 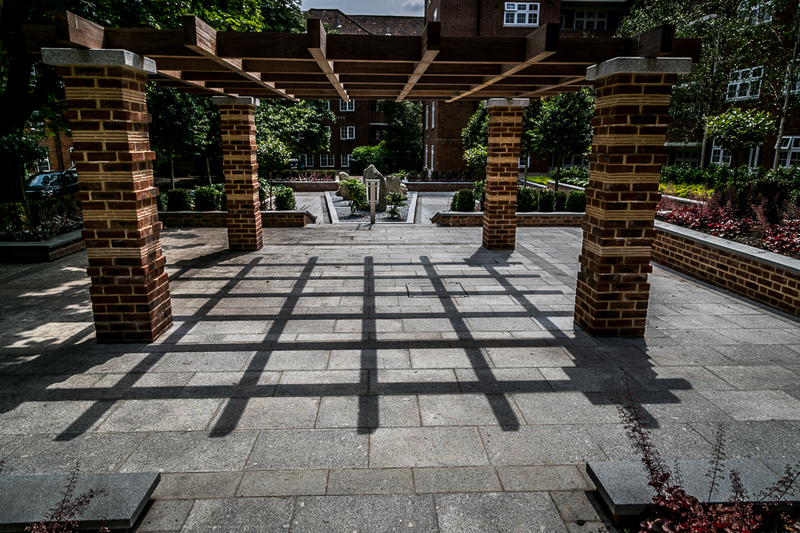 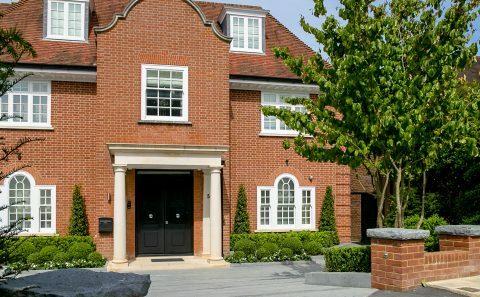 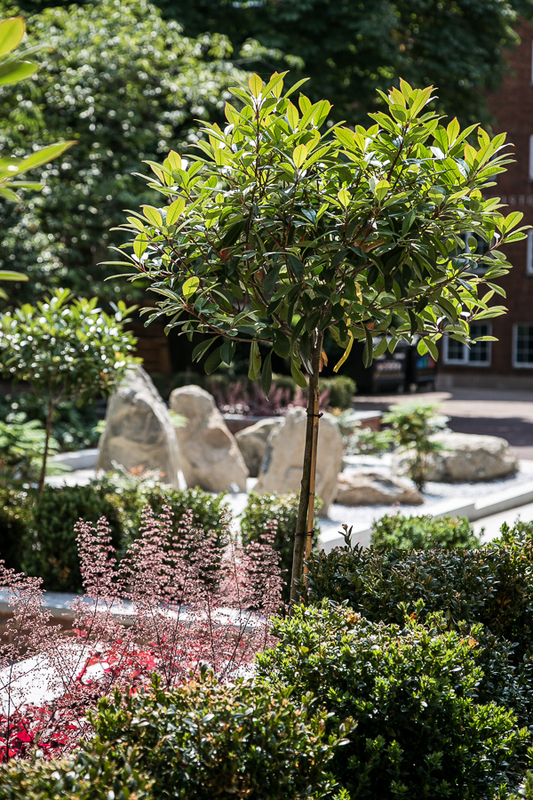 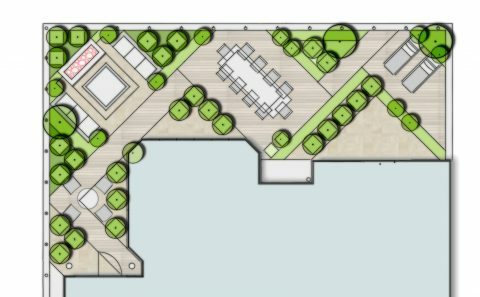 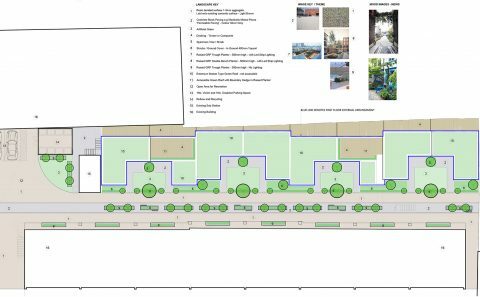 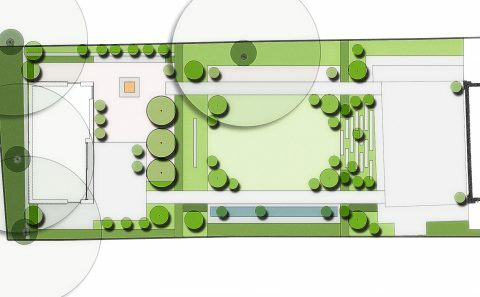 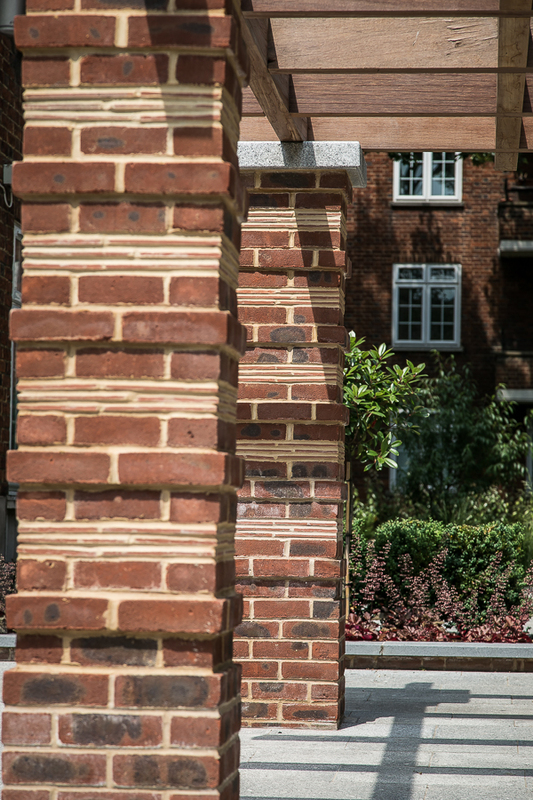 We developed the landscape brief with the client who saw the benefit of investing in a high-quality landscape design that will be long-lasting and robust, attractive and modern, adding value to rent-able, sale-able values and the resident’s lifestyles. 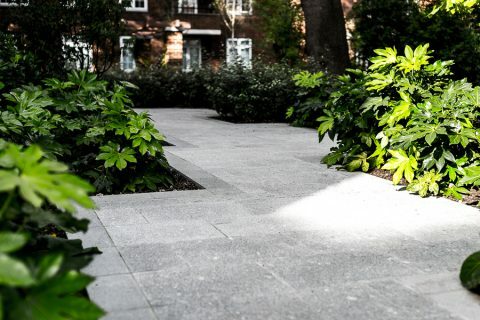 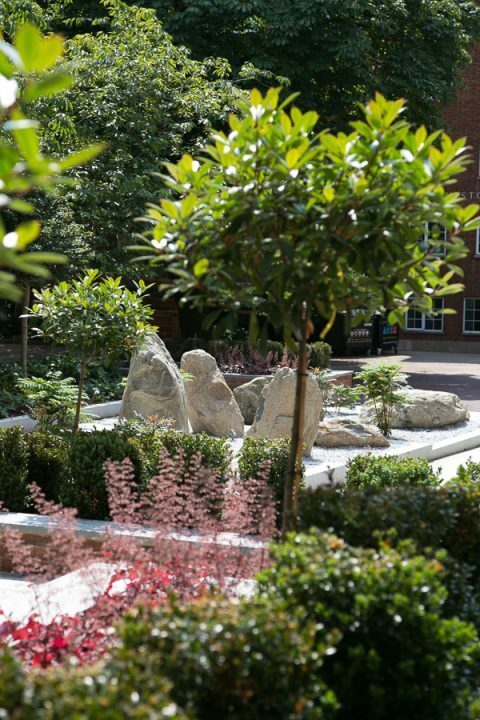 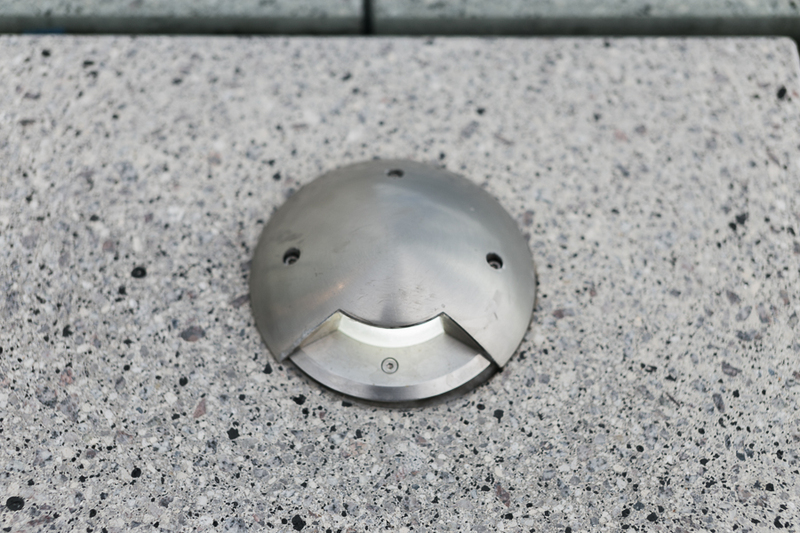 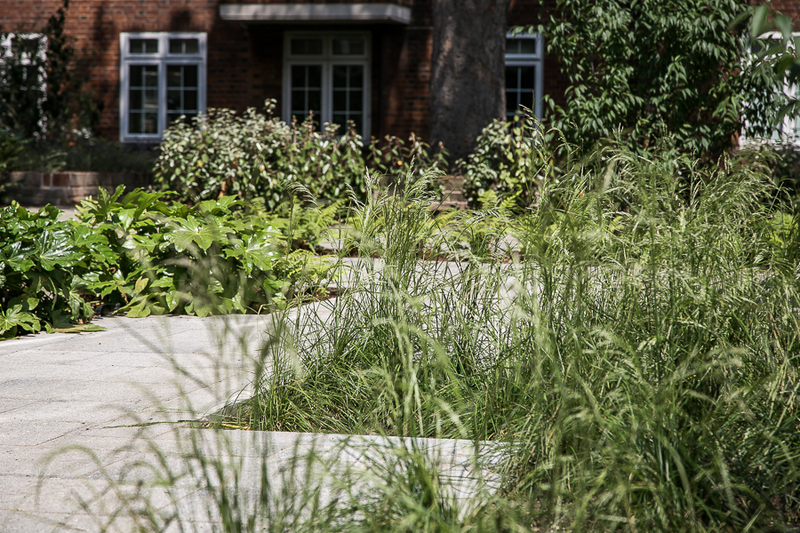 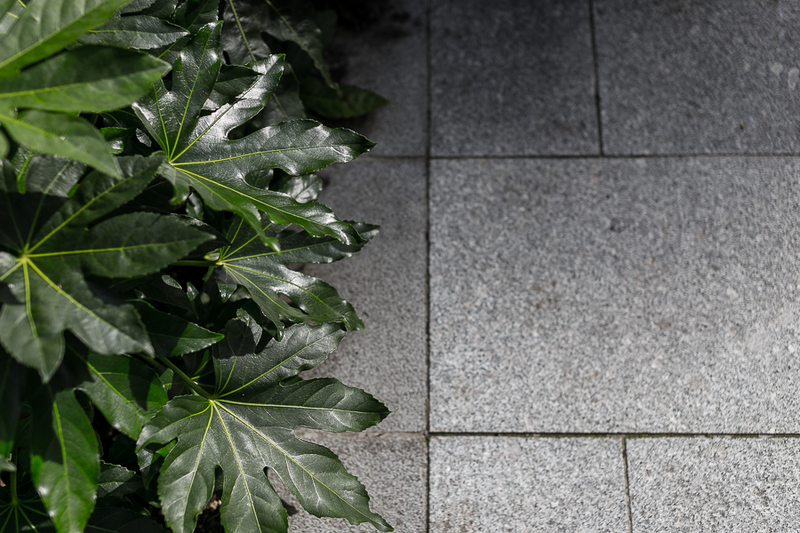 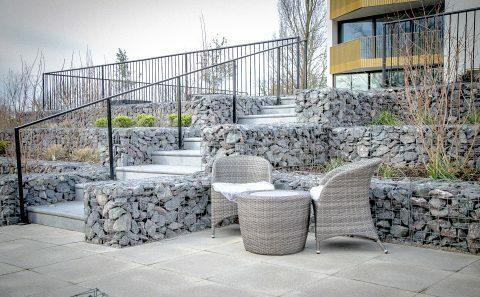 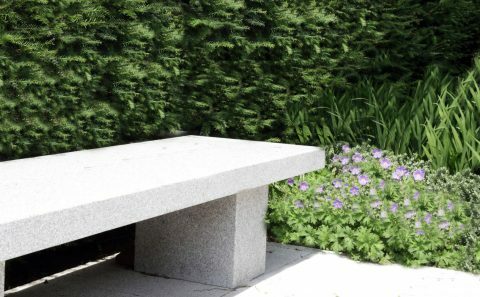 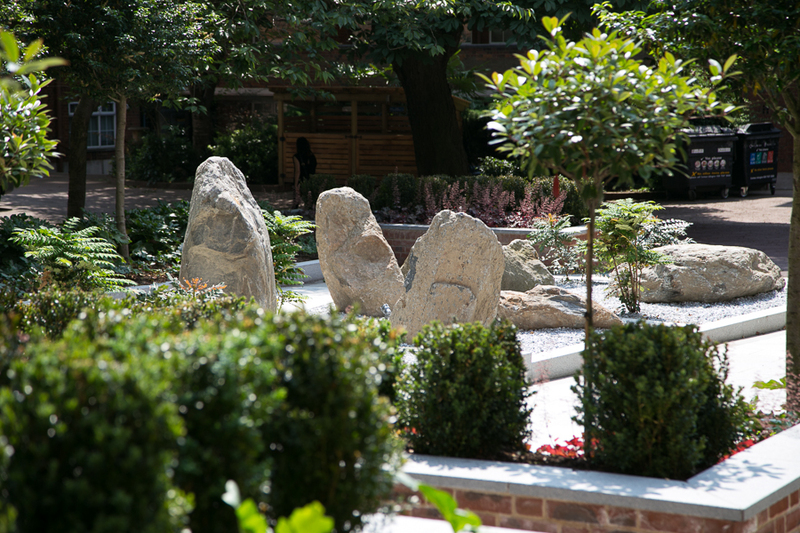 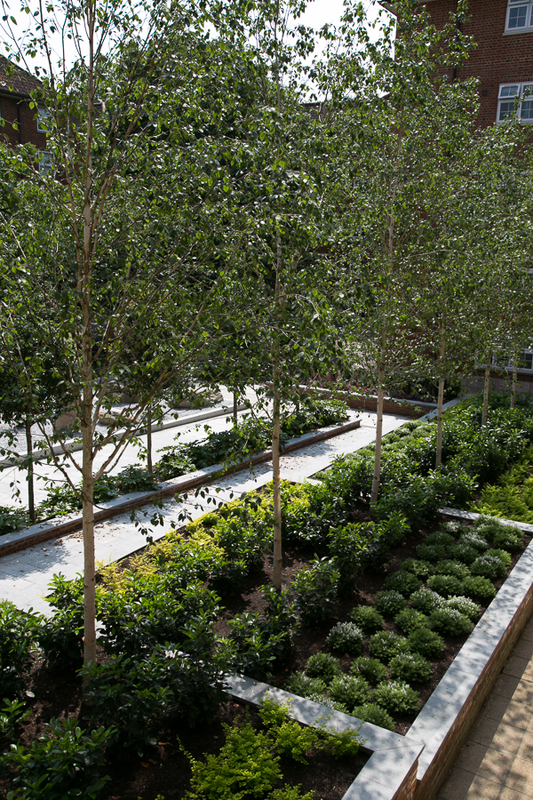 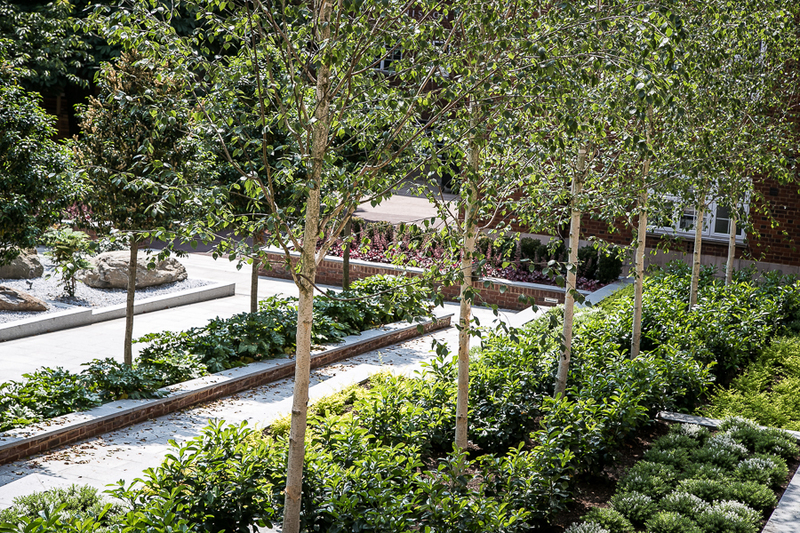 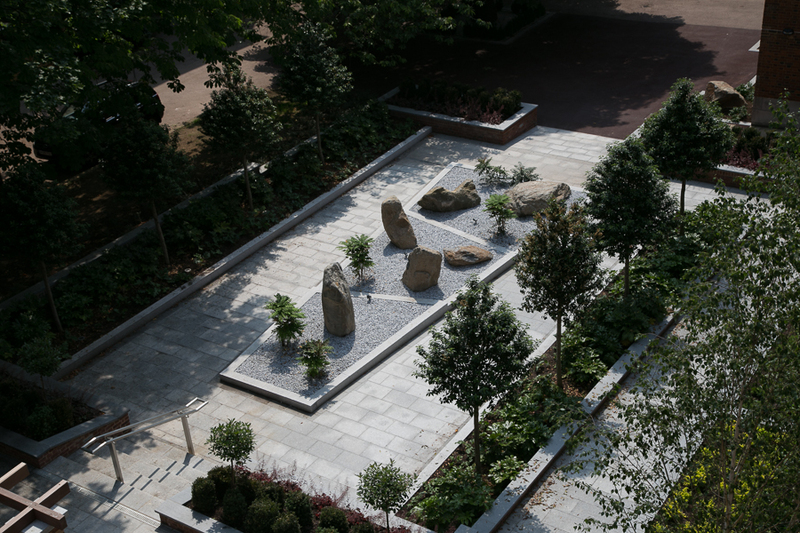 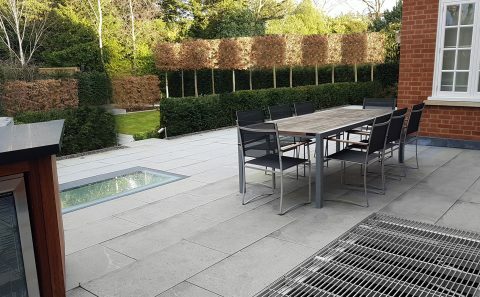 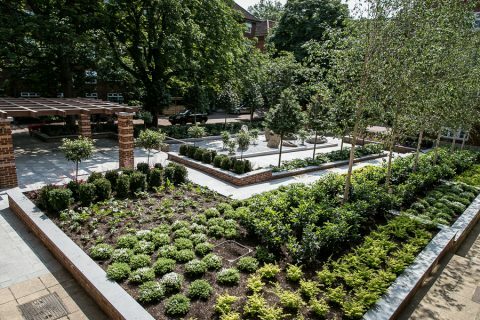 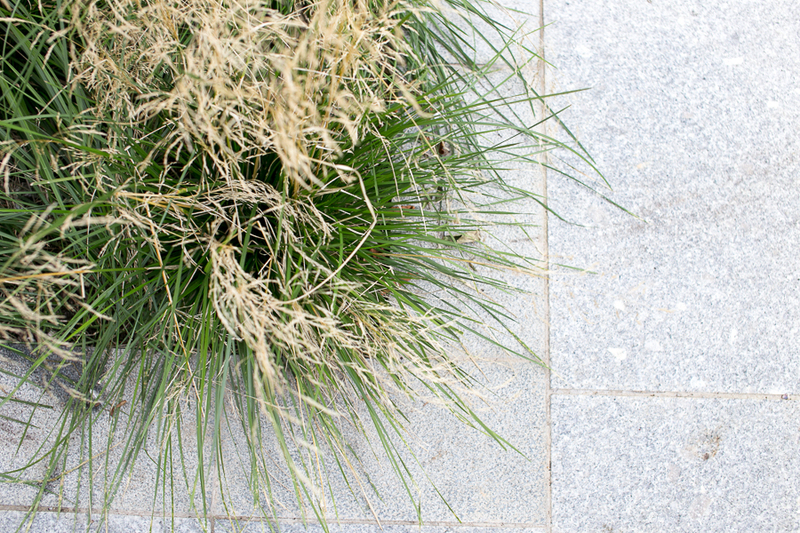 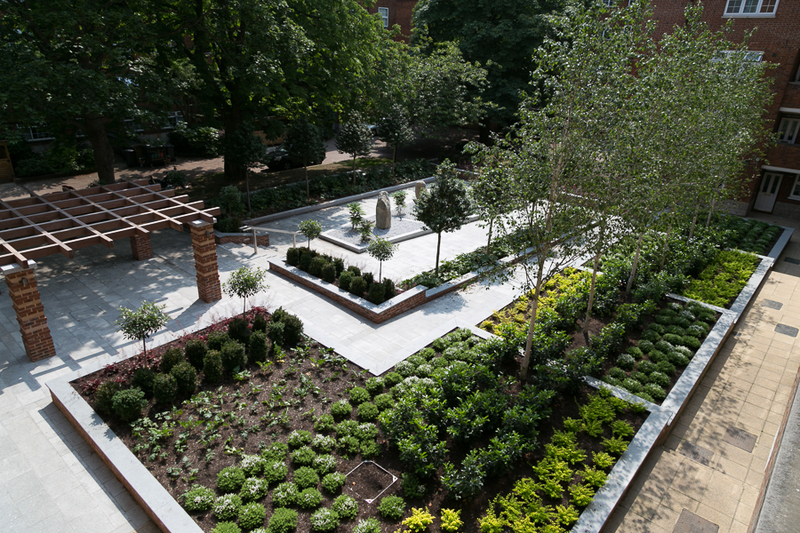 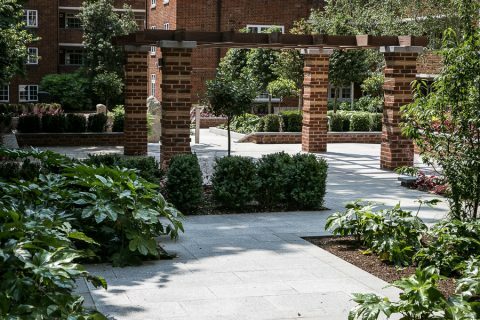 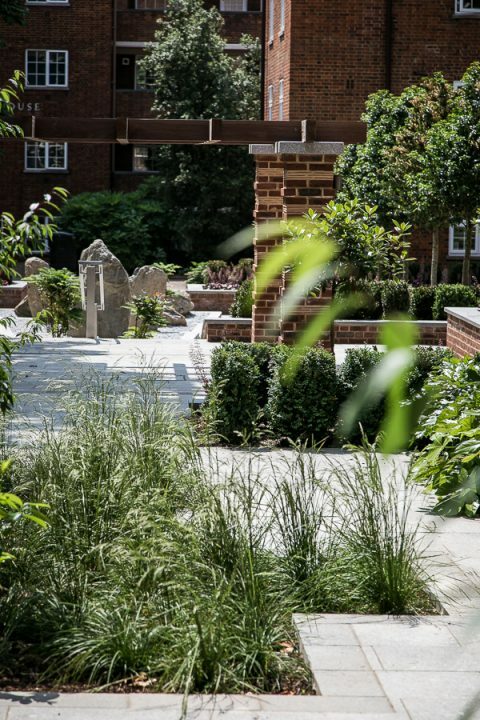 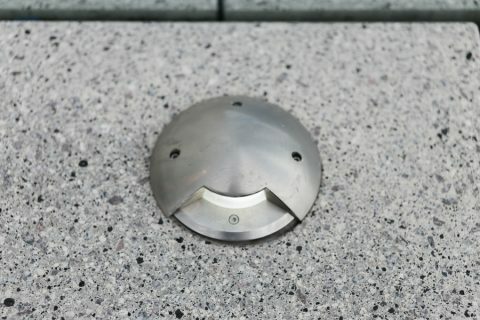 The Landscape scheme compliments and enhance’s the existing architecture and environment and from completion feels as if the landscape is integral to the grounds. 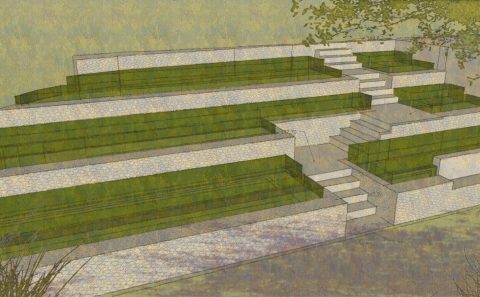 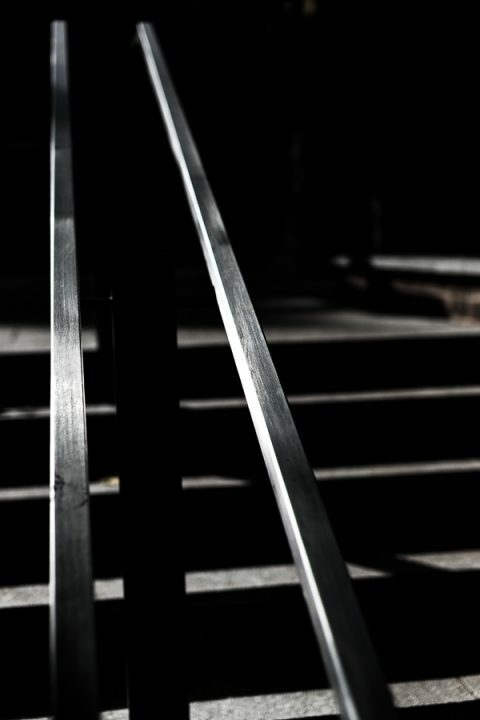 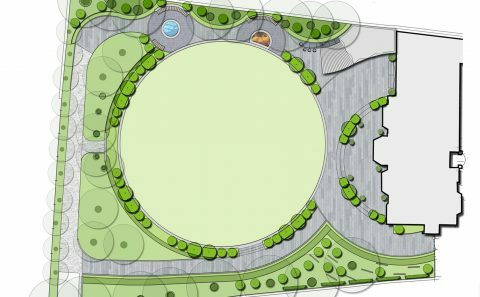 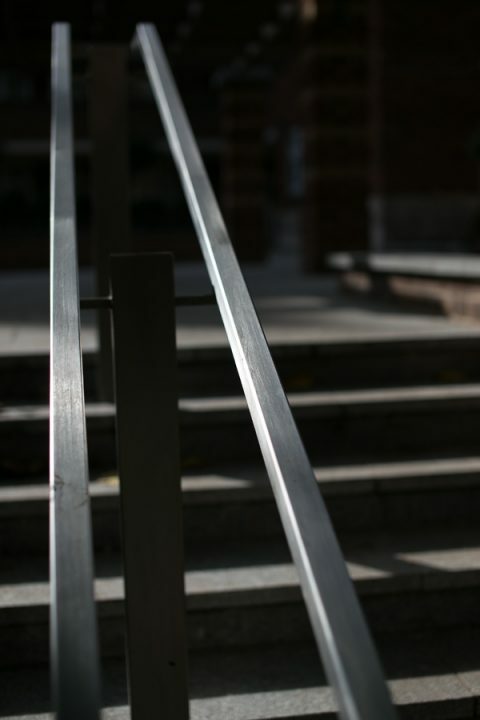 With careful design and planning at the concept stages, we create accessibility to disabled visitors and those pushing prams, bringing the landscape into a modern context. 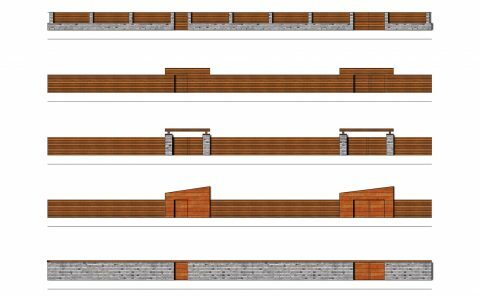 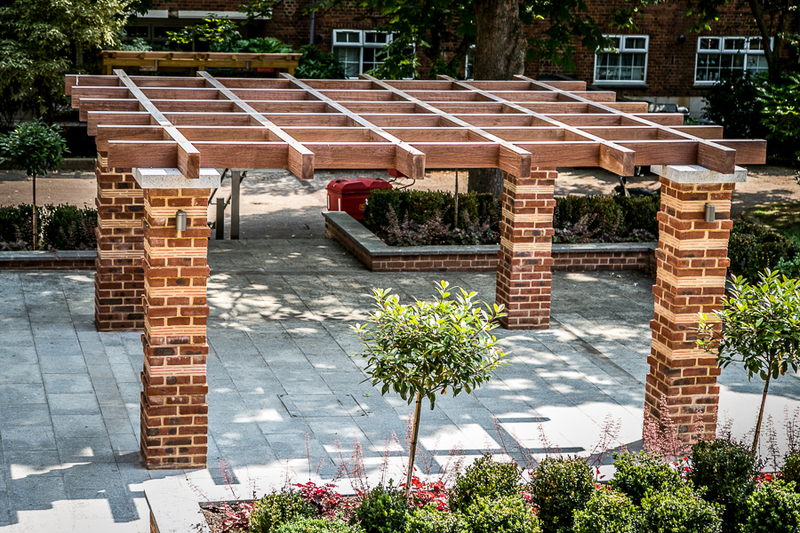 The overall effects is that of a garden space that one moves through, a Japanese style rock and gravel garden creates a central focus and bespoke brick pergola structures create enclosure and privacy didn’t exist. 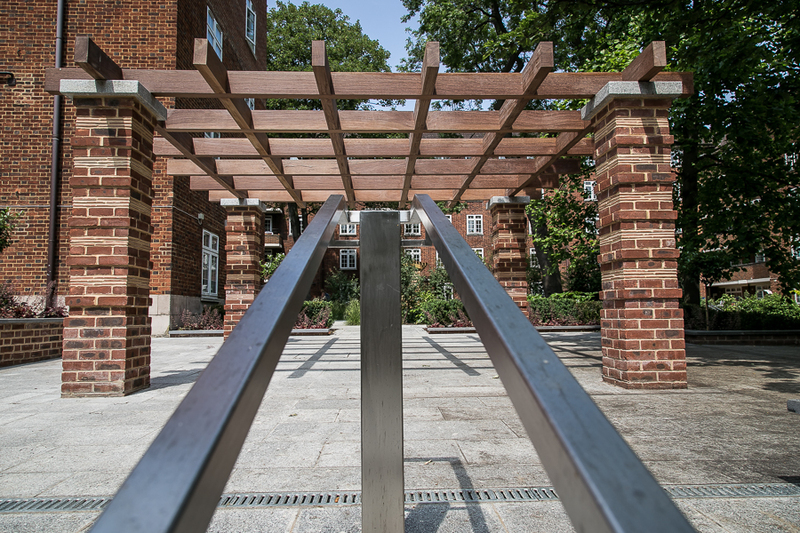 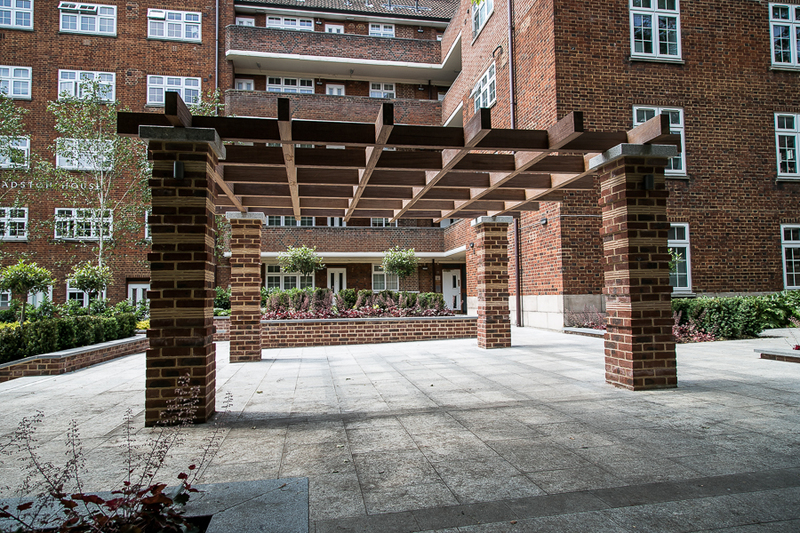 Check out some of the structures we designed as part of this scheme.